What Is The APCO Air Purifier? The APCO Air Purifier uses a process called photocatalytic oxidation (PCO) to rid the air in your home of contaminants, leaving only harmless water vapor and carbon dioxide. How Can An APCO Air Purifier Help You? Indoor air pollution is often worse than outdoor air pollution and can pose a threat to you and your family’s health. The APCO Air Purifier improves the air quality in your home by destroying potentially toxic and odor-causing volatile organic compounds (VOCs). 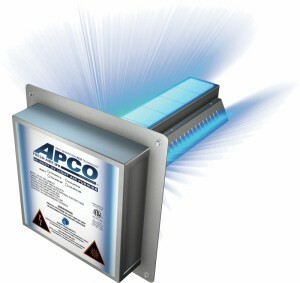 The APCO Air Purifier helps your AC run more efficiently and extends its life by keeping the coils free of mold. The photocatalytic oxidation process used by the APCO Air Purifier destroys the molds, bacteria, and viruses in the air that cause illness and allergies. An APCO Air Purifier is a great appliance for anyone interested in improving the air quality in their home. If you have questions about APCO products, or would like to have an APCO Air Purifier installed, call Breedlove Dobbs Heating and Cooling at 317.888.9111. We offer free estimates and we can schedule your appointment to fix all of your heating and cooling needs.